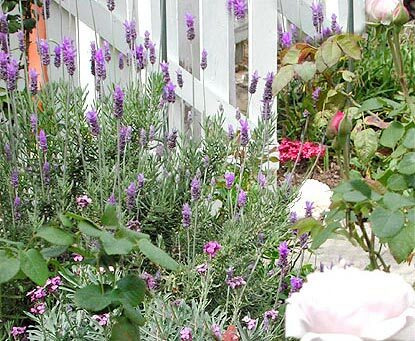 Resolve to plant more lavender. Set aside a sunny patch for a special lavender garden where you can plant your old favourites as well as some of the new varieties that come on the market every year. Always plant at least three of each variety for best effect. Keep lavender bushes in good heart by picking flower heads as soon as one or two of the little flowers have opened. Cut good long stems with a few leaves. Begin taking cuttings of all your lavender varieties. Give lavenders a light pruning to encourage regrowth before winter sets in; put in more cuttings. Protect your more tender lavender varieties with hessian or straw. Pinch out shoots of rooted lavender cuttings to encourage bushiness. 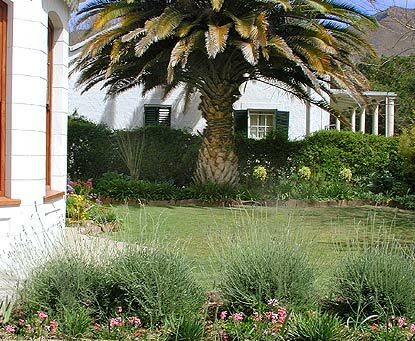 Design and lay out a herb garden; allow plenty of space for lavender. Cut lavender bushes back to new growth. Trim in a ball, not a mushroom shape and never cut into old wood. Select semi-hardwood cuttings to strike from the prunings. It’s wisteria month – add an arch of this beautiful climber to your lavender garden . Begin picking lavender flowers as they begin to open. Keep up to date with your lavender picking. Pot up those young lavender plants for Christmas gifts now. Give those lavender plant presents a last feed and primp. Make up fresh posies and tie with lavender satin ribbon for last-minute gifts. Begin picking lavender flowers as they begin to open. Keep up to date with your lavender picking. Pot up those young lavender plants for Christmas gifts now. Give those lavender plant presents a last feed and primp. Make up fresh posies and tie with lavender satin ribbon for last-minute gifts.